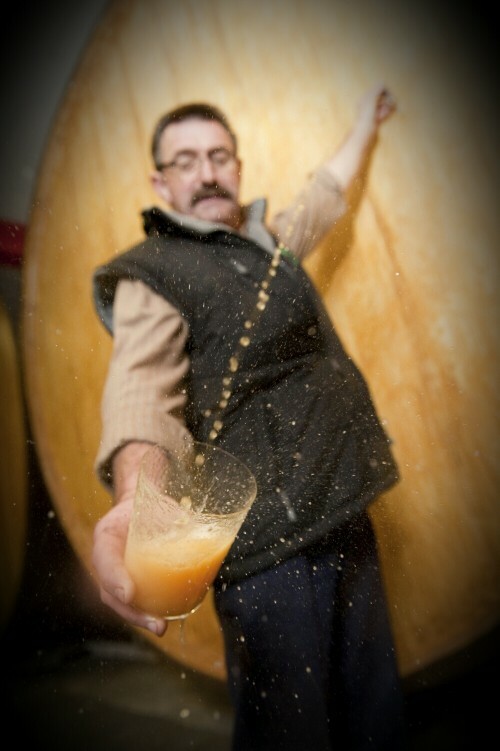 Fresh cider shooting into a glass held by Jose Miguel, owner of Bereziartua. Bereziartua is a traditional Basque apple cider produced since 1870 by the Bereziartua family. Sidras Bereziartua Sagardoak is located in Astigarraga, a town famous for its cider production for centuries. Cider was taken so seriously here in the 14th century that anyone who broke a cider barrel was condemned to capital punishment. Today, they just focus on making one of the most distinctive expressions of apple cider in the world. To do this, freshly picked, wild, raw apples are crushed and pressed. The fresh apple juice is fermented into cider by native yeasts, and matured for 5 months in a mix of kupelas (large neutral wooden barrels) and stainless steel vats. The finished cider is unfiltered, and natural sediment is an essential component of its character. It contributes to Bereziartua’s fresh, tangy flavor, which is drier than most American and English style ciders. The way Basque cider is poured is also unique. The bottle is held high, the glass low, and a few ounces are poured in a steady stream so the cider aerates itself as it splashes in the glass and makes a slight fizz. It is consumed immediately before the bubbles dissipate. The only Spanish Cider awarded a Gold. 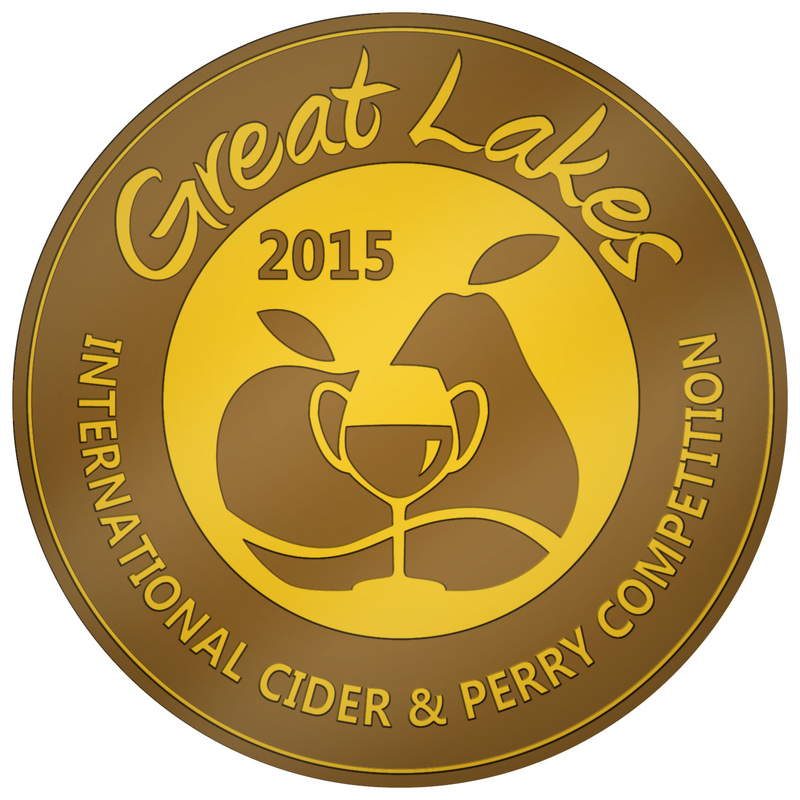 Out of 164 entrants across all categories, only 8 were awarded Gold Medals.